Persons arrested for a DUI in Johnson County, Kansas, who are arrested by someone other than a city police officer will generally be prosecuted in Johnson County District Court. This would include DUI arrests made by the Kansas Highway Patrol, Johnson County Sheriff’s Department, or a Park Ranger. Also persons charged with a felony DUI, because they are alleged to have 2 or more prior DUI convictions, will be prosecuted in Johnson County District Court regardless of which law enforcement agency made the DUI arrest. Johnson County DUI cases are prosecuted by the Johnson County District Attorney’s Office. The Kansas Highway Patrol, also sometimes known as the State Troopers, has jurisdiction anywhere in the state of Kansas, but they primarily patrol the highways. In Johnson County, you are most likely to encounter a State Trooper on Interstates 35 and 435, but occasionally you will see a Highway Patrol DUI on K-10, 169 Highway or 69 Highway. Johnson County Sheriff’s Deputies have jurisdiction anywhere in Johnson County but, as a general matter, Sheriff’s deputies are found outside of city limits, in rural areas of Johnson County and on the highways, especially K-10. Primary traffic enforcement inside of the cities of Johnson County is left to the individual cities’ police departments. The Johnson County Sheriff’s Deputies patrol the area of 175th and 169 Highway heavily due to a couple of clubs located south of Olathe where they make frequent DUI arrests. Park Rangers have jurisdiction within parks like Shawnee Mission Park but a Park Ranger DUI is a fairly rare occurrence. If a person is charged with a misdemeanor DUI (a first or second DUI occurrence), the case will be handled by one of several Johnson County District Court Judges. If you are convicted of a DUI in Johnson County District Court, you are likely to receive probation after serving whatever jail sentence the court might impose. A substance abuse evaluation from one of the approved agencies in Johnson County will be required. Probation will be monitored by Johnson County Court Services. Every person charged with a misdemeanor DUI in Johnson County District Court has the option to have a jury trial, but you have to request a jury trial or you will only have a trial to the judge. Diversion for a first-time Johnson County DUI is at the discretion of the Johnson County District Attorney, and sometimes requires a meeting with a representative of the Diversion Department before diversion will be offered. Diversion will not be offered if you have had any prior DUI diversions or convictions, if there was an accident that involved an injury to anybody (including to yourself), or if you have a Commercial Driver’s License. Diversion may also be denied if you had a very high blood or breath test, were extremely uncooperative with the police officer, have had prior arrests for anything, or do not accept responsibility for the DUI you want to divert. Diversion is monitored by the agency which conducts the substance abuse evaluation, but a person on diversion in Johnson County District Court is also subject to being called in by someone from the Johnson County DA’s Office for questioning or urine testing. Persons charged with a felony DUI, because it is a 3rd or subsequent DUI, will be prosecuted in Johnson County District Court. The case will be assigned to one of five different district court judges. Each judge is a little different and has his own way of handling Johnson County felony DUI cases. Usually a person charged with a felony DUI starts out being charged in a municipal court or Traffic Court. When it is determined that the person has two or more prior DUI convictions or diversions, the case is then dismissed and sent to the Johnson County District Attorney’s Office for the filing of the case as a felony DUI. The DA’s Office will eventually file the charge and have a warrant issued for the arrest of the accused person. They will also request that the judge who signs the warrant also set a bond, with bond conditions. If the person has a lawyer, the lawyer can usually arrange to be contacted if and when such a warrant is issued so that arrangements can be made to turn the person in and get them bonded out, as opposed to the warrant being served on the person at work or at another inconvenient time and location. The bond on a felony DUI in Johnson County District Court is usually somewhere between $2,500.00 and $10,000.00 depending on whether it is a 3rd time DUI or subsequent, but it can be more or less depending on the unique circumstances of the case and defendant. To bond out on a felony DUI, the person will have to be arrested or turn himself in and then either post the bond in cash, or hire a bail bondsman. If you post cash, you get the money back at the end of the case. If you hire a bondsman, he or she will usually charge you 10% of the bond. With a bondsman you get out of jail cheaper, but you will not get the fee paid to a bondsman back. When you bond out, the case is set for a “First Appearance” in Johnson County District Court. First Appearances are usually handled by a magistrate judge. He will make sure that you have received a copy of the Complaint filed against you by the Johnson County DA’s Office, ask whether you would like for him to read that Complaint to you, tell you to which court your case is assigned, and then he may review the bond conditions if requested. In a felony DUI case in Johnson County, there will almost always be conditions placed on your bond. You must comply with these conditions in order to remain free on bond as opposed to in jail. Typical bond conditions include House Arrest or Bond Supervision. House Arrest requires that you be confined to your home except when at work. Bond Supervision is like being on probation and you have to report regularly to a Bond Supervisor. While on Bond Supervision for a felony DUI you may be required to wear a CAM bracelet (which detects whether you have consumed alcohol by measuring your perspiration) or to participate in the Color Code program. The Color Code requires that you call a telephone number every single day to determine whether you are required to go and drop a urinalysis test that day or not. House Arrest, Bond Supervision, the CAM ankle bracelet and urine tests all cost money and you have to pay it if you want to remain on bond. Other bond conditions usually include abstaining from the use of alcohol or drugs and no driving of a vehicle. As your case moves through the court system, these bond conditions are subject to being changed or eliminated. A felony DUI in Johnson County District Court requires a skilled, knowledgeable and fearless attorney. The stakes are high in felony DUI cases, as a conviction will brand you for life as a convicted felon. The maximum jail sentence for a felony DUI is one year in jail and that sentence is handed down on felony DUI cases with some regularity. The minimum fine for a 3rd time DUI is $1,500.00. The minimum fine for a 4th or subsequent DUI is $2,500.00. 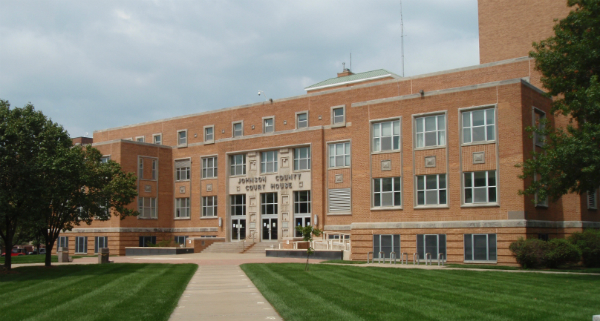 The Johnson County District Court has Work Release program which is available as a sentencing alternative to the courts in a felony DUI case. After serving some time in jail on a 4th or subsequent DUI, the courts will sometimes allow a person to go to the Work Release Center to complete the rest of his or her sentence. At the Johnson County Work Release Center, the inmate is allowed to leave the facility each day to go to work, but must return immediately after work to the Center. This option allows many people to keep their jobs while serving their sentence. The goal in hiring the best Johnson County DUI lawyer that you can get, of course, is to avoid being convicted of a DUI. This takes an extraordinary amount of knowledge about the specialized issues in DUI cases and the unique and ever-changing Kansas DUI law, and it takes a lot of dedication and perseverance. A conviction for either a misdemeanor or felony DUI will cost you dearly in terms of your freedom and financially. A DUI conviction can never be expunged, undone or wiped off of your record. So, the decision as to who to hire as your attorney is important and you need the best Kansas DUI attorney you can possibly find.